Home News & Updates PCAPI 4A is now an Accredited CPD Provider of PRC! 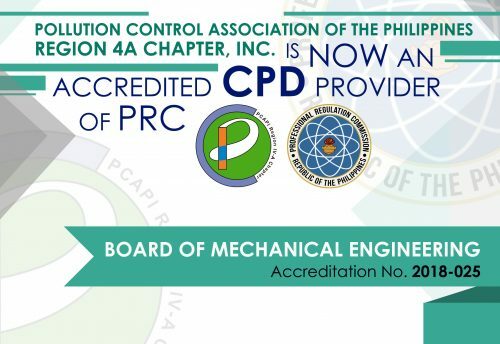 Pollution Control Association of the Philippines Region 4A is now an accredited Continuing Profession Development (CPD) Provider of Professional Regulation Commission (PRC)! 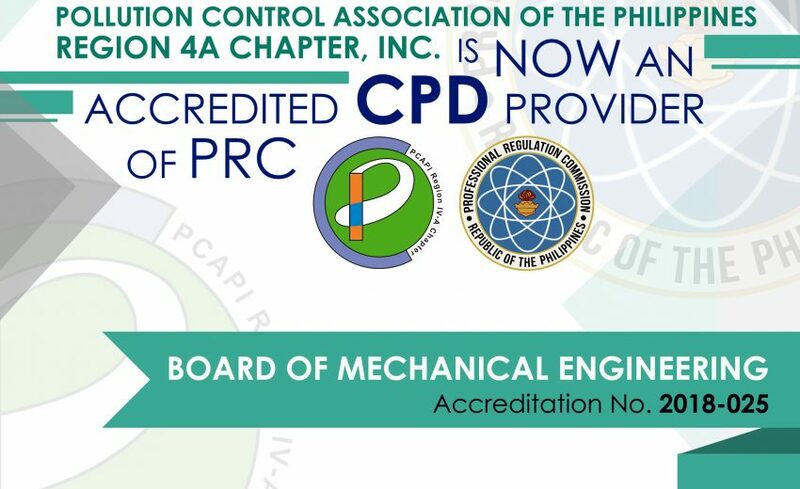 For the Mechanical Engineer Profession, PCAPI 4A has an Accreditation Number 2018-025, valid until June 27, 2021. From the association’s tagline, “PCOs helping PCOs”, PCAPI R4a wants to provide additional assistance to PCOs in upgrading the practice of their professions and for the continuous improvement of their competence as professionals. To date, the Association is currently applying for the Basic Training Course Program for the credit units to be earned. Application for the other professions such as Chemical Engineer, Sanitary Engineer and Environmental Planner is on-going.